As a company LaneSystems recognise our wider social responsibilities to our stakeholders and the local community. In review of our services, we identified opportunity to donate time, skills and expertise to our clients where appropriate. As an example of this, we have assisted the Carers Trust Tyne & Wear by donating a number of PCs. As well as this, we also support many of the local Citizen Advice Bureaus, MAIN and Durham Ethicare. If you represent a charity or know someone who does and feel that LaneSystems can help with their IT issues, please get in touch to arrange a free consultation – jsmith@lanesystems.co.uk. 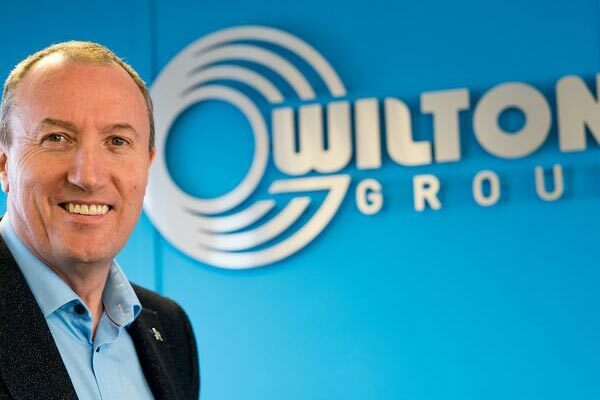 The Wilton Engineering Chief Executive has been recognised for services to the engineering, oil and gas and offshore wind sectors as well as the local Teesside community. Bill, from Middlesbrough, founded Wilton Engineering with his business partner, Steve Glenn, in 1994 and has grown the business into a successful member of the offshore energy sector supply chain, initially in the oil and gas sector and, more recently, offshore wind, employing more than 800 staff. What a great start to their 25th year in business. It’s almost ironic that this successful, innovative, businessman’s body is part run by an electromechanical device. He’s been known to joke about being the bionic man at external events. Bill is also highly-active in the Tees community and devotes much of his time to supporting local causes and organisations. He has helped raise many thousands of pounds for charity and, works closely with schools and youngsters with learning difficulties. 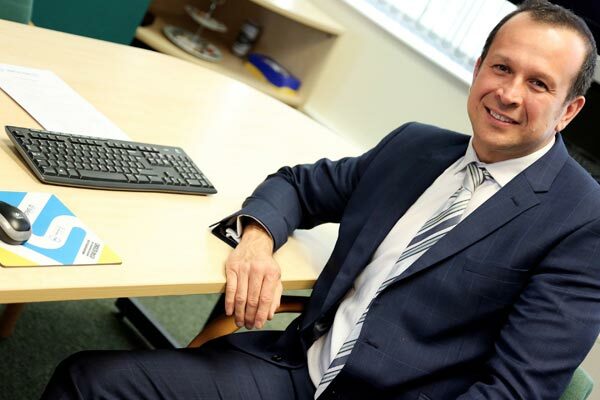 A patron of the Middlesbrough and Teesside Philanthropic Foundation, the former North East Entrepreneur of the Year and North East Business Executive of the Year also mentor’s local start-up businesses. Wilton, which is located at Port Clarence on a 54-acre site, adjacent to the River Tees, provides multi-discipline engineering services. It specialises in engineering design, fabrication and construction, analysis, and coatings and services for the onshore and offshore energy industries. Switch Aid is a new not for profit fundraising scheme. If you have ever used a comparison engine or broker you will know that you can compare the whole market, find the best deal and keep the savings all at no cost. They can do this because they are paid commission from suppliers – it’s a great model and Win/Win for everyone involved. Switch Aid provides the same service, specialising in Energy and Telecom’s for Charities & Not for Profits. What makes us different is that we are a not for profit, so when we are paid commissions, we pass up to 80% of the profits onto your charity/not for profit. It means that you can gain sustainable income, as every time the contract is renewed, additional funds are raised. BUSINESSES can also get involved. It is exactly the same process. The only difference is that the business gets to choose the Good Cause they wish the grant to be offered to. 2: If you could be on a better tariff for your needs, we present our findings and you decide if you would like to change to the cheaper rates. 3: As a social enterprise we give up to 80% of the profit received from the supplier back to your Charity as a grant. Because the profits are generated by commissions from the supplier there is no cost for our service and you pay the same as going direct. Coding is not something that has been readily open to people with disabilities, particularly those who have limited sight. But now, blind and partially sighted students could benefit from a future in coding through iPhones and iPads. The Royal National Institute of the Blind is launching a new initiative with Apple, bringing the company’s coding programme for blind students to schools in the UK. 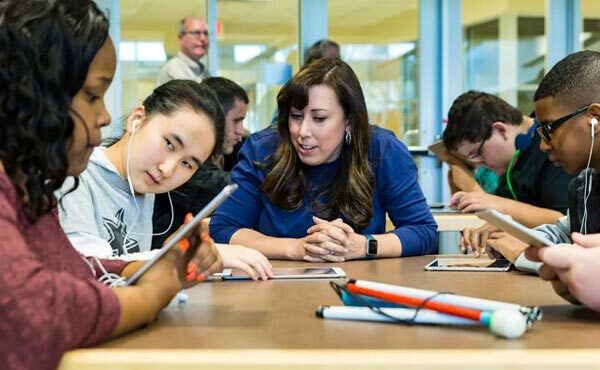 In a speech today at Bett, the teaching technology trade show, Apple’s head of accessibility Sarah Herrlinger will lay out the tech giant’s plan to bring more coding tools to blind children in schools. While smartphones and gadgets could be seen to alienate some blind and deaf people, many tech companies have worked to build in features like screen readers or specialised hearing devices. Apple’s Everyone Can Code scheme introduces students to Swift, the coding language used on iOS for iPhones. Its coding education software, Swift Playgrounds, features built-in accessibility voice overs that can talk to blind users during the exercises and games. Schools will also be provided with braille-based books that include diagrams and instructions on how the levels of the coding program work. The coding software also works with braille displays, that allow blind people to feel information that is being displayed on screens. The software will be available for all schools in the UK that take part in Apple’s coding scheme, potentially benefiting thousands of students. “We’ve looked at how we get more blind students coding and are adding these new resources to the mix. No one should have a point where someone says no, you can’t do that because of your disability,” Herrlinger said.